Build the Right Pillow for You! 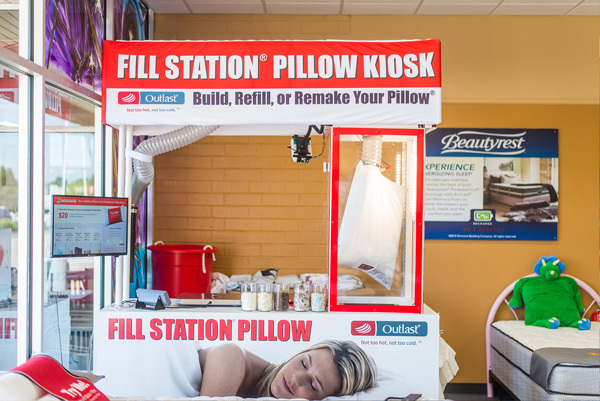 The Fill Station® Pillow Kiosk allows you to build, refill, or remake your pillow from scratch in 5 minutes! Create a custom level of support and comfort for your neck, shoulder and back. A custom pillow can help relieve pain and stress while you sleep. Test different pillows to find which shape and materials feel best for your unique body. 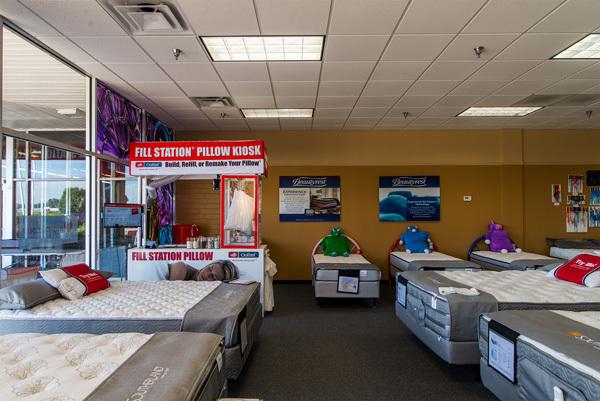 Select the pillow shell and feel that match your preference. Decide on the thickness and firmness that best suits your ideal comfort.